After much fanfare, What British Muslims Really Think, aired on Channel 4 last night, hosted by Trevor Phillips. It promised “an extensive and rigorous survey to get a better understanding of British Muslims’ attitudes to living in Britain and British institutions”; but did it deliver on its promise? 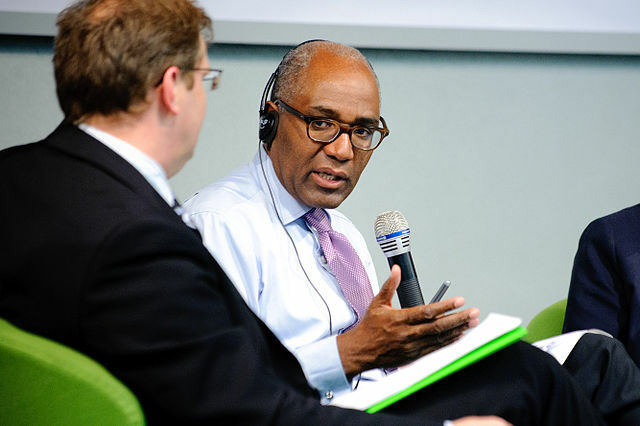 One major problem was the arguments put forward by Trevor Phillips. On several occasions he misrepresented polling data. The first example concerns how social Muslims are with non-Muslims. He led with the stat that 56 per cent mix with non-Muslims outside of their home on a daily basis. Yes, it’s true that 21 per cent visit non-Muslims once a year, and the same figure never visit non-Muslim homes. Audiences were not told, however, that 17 per cent of Muslims have social visits from non-Muslims in their homes on a daily basis. That figure rises to 19 per cent on a weekly basis and a fifth on a monthly basis. Muslims polled by ICM make a similar effort to visit the homes of their non-Muslims friends on a daily, weekly and monthly basis. Nor did Trevor Phillips seek to interrogate this question. He did not consider why some Muslims would not visit the homes of non-Muslims. Did he not consider the health of individuals? Disability or long-term health issues may limit social activities and visits. What of economic factors like the cost of bus fares in deprived areas limiting social mobility and activities? Young Muslims were also more likely to have non-Muslim friends visit their homes on a daily basis. And social mixing also exists on social media platforms. These factors were simply ignored. The ICM poll has its flaws but it remains a comprehensive look at the views of 51 per cent of self-identified Muslims in England and Wales. Nor did the poll explore the diversity of Islamic belief – were individuals Sunni, Shia, Deobandi? Just over a fifth of Muslims polled make no effort to visit a mosque, and 17 per cent only attend on special occasions. This is not a measure of religiosity; but it speaks to how individuals interpret their own faith. The documentary failed to show the diversity of belief outside of liberal and conservative binaries. Trevor Phillips drew a comparison between how Christians and Muslims understand their faiths. This matters in the context of freedom of expression. ICM’s data did show a clear divide between Muslims and the control group sample on blasphemy. Responses in the control group were more in favour of publishing cartoons of the prophet Muhammad. A fifth of non-Muslims who rejected this position were Christian. Opinions in the control group sample were even more divided on the question of publishing cartoons that mock the prophet Muhammad. Almost half said that publications should not have this right. And that included 32 per cent of non-religious people and 50 per cent of Christians. His own analysis of the polling data allowed him to argue that policy makers had misjudged the aspirations of Muslim integration when compared to Hindu and Sikhs. Difficult questions around women about obeying their husbands may owe to cultural conservatism given the over-representation of South Asians in the poll data. Phillips did at least seek some understanding of this question. One woman suggested that obedience in the context of pleasing God would suffice. How representative these positions are of course, are open to interpretation and insinuation. It’s true that 35 per cent of 18-24 year olds also found polygamy acceptable. He did not inform the audience that 34 per cent of Muslims aged 18-24 did not find it acceptable. Disagreement on this issue grew with each age category until we arrive at the over 65s. This pattern continued into the question of integration. Trevor Phillips gave weight to the small majority of Muslims who wish to lead a separate Islamic life. Yet he did not reveal that 49 per cent of Muslims want to integrate with non-Muslims in all aspects of life. And that is broadly true among British Muslims young and old. Phillips goes on to speculate that 500,000 Muslims in Britain want to live parallel, separate lives. He does not afford the same level of speculation for the greater number of Muslims seeking total integration. This type of speculation appeared earlier in relation to sympathy for suicide bombings among four per cent of Muslims; but not for the one per cent of the control sample who also expressed sympathy. A proclivity towards antisemitic tropes is a troubling finding. Yet British Muslims also expressed tolerance towards Jewish communities. Phillips also made a confusing statement about the caliphate and ISIS. Just 7 per cent endorsed the principal of a caliphate. That figure drops to 3 per cent when asked if they support how ISIS established their violent version of a caliphate. ICM also justified the use of the word ‘sympathy’ in relation to violence and support for terrorism because it had appeared in other surveys. Yet again, our understanding of this vague term remains open to interpretation. Putting aside social desirability bias, a small minority of Muslims still expressed any sympathy for terrorism or violence. Muslims (34 per cent) were also more likely than the control group survey (30 per cent) to report individuals to police if they suspected their involvement in terrorism in Syria. Yet this was not reflected in the documentary. Other points missing from the documentary included that non-Muslims had also expressed similar levels of sympathy for violence against unjust governments. That also extended to use of violence against police injustice. Muslims were also more likely to condemn the use of violence to protect their family. This is also true for non-violent radical groups. Nor were the desires or sympathies for violence among non-Muslims explored. The poll does highlight some troubling and positive views among British Muslims. At times Phillips did highlight some nuances in the poll data – like the generational divide on LGBT issues. Misrepresenting ICM’s poll data does not improve debate.